Editor’s note: Science, technology, robotics, engineering, art and math: In our schools and communities, there is more demand than ever for STREAM. Yet only about a third of eighth-graders score “proficient” in math and science. 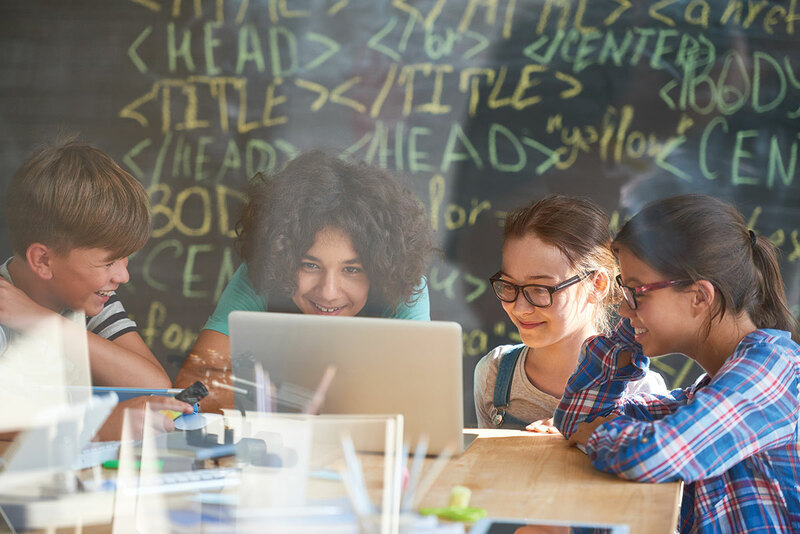 In this ongoing series, sponsored this month by Coding with Kids, we’ll explore how schools and organizations are approaching STREAM in new, game-changing ways. We are in what economists call the Fourth Industrial Revolution, a global tidal wave that integrates digital information technology into every intimate aspect of our lives and with impacts on every industry. Yet, in any K−12 school today, you will find tech-savvy students, but not computer-savvy students. A student might know how to use a device or to code, but they don’t necessarily understand what they did and why. And while STEM-focused parents might be thrilled that their children are now programming a computer game while barely out of diapers, it’s not enough. To fuel the economies of the future, STEM (science, technology, engineering, math) experts say, we need students who can figure out what goes on behind the algorithms. Read more from our February 2017 issue. To get there, we have a long way to go. More students are gaining access to computer science than ever, yet many kids, especially girls and students of color, still are not being exposed to in-depth computer science education, which goes beyond coding and programming. While 93 percent of parents say they want their children to be learning computer science, only 40 percent of K−12 school systems teach programming; fewer than half of U.S. schools offer any computer science courses; and only 8 percent of STEM graduates study computer science, according to Code.org. Currently, just 11 percent of Washington schools have computer science offerings. Computer science is about innovation, problem solving and creativity — skills that are important and transferable in many, many areas of work. Technology is no longer just a computer. It’s an algorithm, a sensor, a program and a neurotransmitter. Because computers are more complex than ever before, we need people who understand the evolving functions and potential of these devices. 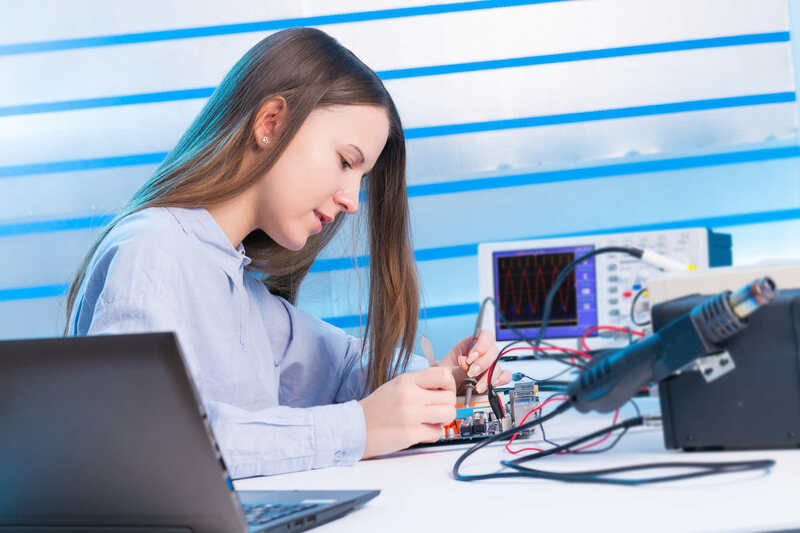 With information technology positions growing 36 percent over the past decade, technology is the fastest-growing STEM field. By 2020, the economy is projected to add 1.4 million information technology jobs, according to Code.org. But U.S. schools are only on track to educate 400,000 computer scientists by then, according to a 2016 study by the Information Technology and Innovation Foundation. To teach a new generation of computer scientists and fill upcoming computer jobs, schools need standards and curricula, teachers to teach computer science and a viable pathway to higher education. Some states are requiring computer science in their curriculum. “This is a good initiative in the sense that being able to use computers these days [but not be able to] create software is the equivalent to 200 years ago when people could read, but not write,” says Andrew Davidson, professor with Human Centered Design and Engineering at the University of Washington and former high school computer science teacher. In the future, says Davidson, people will need to create software if they want to survive in the job market. To get there, education administrators need to answer questions such as: Is computer science an elective or requirement? Should all students be required to take computer science to graduate? What type of curriculum should be used, and what type of teacher should be hired? These questions linger unanswered in many school districts today. Right now, only seven states have adopted K−12 standards for computer science instruction, although many other states are working on it. Thirty-three schools nationally count computer science as a core graduation requirement. But in most schools, the focus is on skills rather than learning computing concepts and computational thinking, which is where, many experts say, computer science education really needs to evolve. Organizations such as Code.org, the National Science Foundation, Computer Science Teachers Association (CSTA) and private corporate partners such as Microsoft, Facebook, Google and others have been working to bring more computer science into the classroom. By pushing the conversation, these organizations are aggressively promoting the creation of standards and curricula in schools. Nationally, the K–12 Computer Science Framework, created by the Association of Computing Machinery, Code.org, CSTA and others, advanced standards by providing a broad conceptual framework for computer science education. This framework is a landmark, says Ed Lazowska, who holds the University of Washington’s Bill and Melinda Gates Chair of Computer Science and Engineering, because while it doesn’t provide curriculum, it clearly defines a set of concepts and practices that students should master at each grade level. In addition to this framework, the CSTA created the Interim K−12 Computer Science Standards, which lay out a more specific, grade-level guide for state education departments and school districts to revise their computer science curriculum or to build one. Along with some other states, Washington used the national framework and these interim standards to create its own computer science standards for students, adopted in 2016. Since this state adopted the Computer Science K−12 Learning Standards, Washington STEM (a statewide nonprofit focused on increasing interest in and access to STEM for all students) and the state Office of Superintendent of Public Instruction (OSPI) have convened a Computer Science Standards Committee, which will review standards content, says Andy Shouse, Ph.D., chief program officer of Washington STEM. Rolling out over a period of from four to five years, these initiatives are being funded, says Shouse, through a public-private partnership, a mix of state and private funding from foundations and corporate partners. Washington standards also established computer science as “an essential academic subject,” which means that students can count computer science as a math/science credit toward their graduation requirements. Another value of computational thinking is that it increases student engagement, creating a deeper understanding of scientific content. Computational thinking is the intellectual heart of computer science, says Lazowska. Because it requires abstraction, modularity, stepwise problem decomposition, modeling, algorithmic thinking, debugging and other skill sets, it teaches a skill, he says, every 21st-century citizen needs to learn. “It is every bit as fundamental as mathematics, biology, chemistry and physics,” Lazowska says. “People nowadays in labs don’t wear a lab coat, but they are actually working hard and taking computations trying to figure out models, looking for patterns in data, and that is something people largely understand,” says Wilensky. Another value of computational thinking is that it increases student engagement, creating a deeper understanding of scientific content. For instance, with computational modeling and simulation tools, students can create a 3-D model of the genome and how it works on a computer screen. This is tangible evidence that students can see and then replicate. One big challenge in improving computer science K−12 education is curricula. Organizations such as Code.org have online resources, but no broad curriculum corresponding with the standards has been developed. Right now, the only official curriculum that exists for computer science is the Advanced Placement (AP) Computer Science A class and AP Computer Science Principles, a new course released in 2016 that focuses less on programming knowledge and more on the principles and interdisciplinary nature of computer science. Because we are so fascinated with technology, for many years, we have gobbled up any and all new devices. Today, the quest is to design technology to fit the user’s needs as opposed to a user adapting to technology, something called user-centered interface or design. This is one approach to teaching computer science to students. Davidson teaches King County/Puget Sound area high school students about user-centered design through user-centered design charrettes. In a charrette, students participate in a user-design activity, such as creating user interfaces for a website, mobile app or a physical device. They work in small groups to brainstorm what the user might need and then develop their own use-case scenarios and an interaction design for a particular technology application. “The whole idea is that rather than inventing a technology or algorithm or system [and] then finding a use for it,” says Davidson, “we start from the point of view of the user.” What he found was that students really liked learning something that, they felt, could actually get them a job. Another plus is that this type of user-centered design focuses more on people, so it appeals to kids, especially girls who want to work with people and be involved in social aspects of learning while still using technology, says Davidson. He is currently trying to expand the program to reach more students in Washington. Perhaps the greatest challenge that exists is finding enough qualified teachers to teach computer science. While teachers like Davidson understand the necessity of teaching the deeper concepts of computing, the majority of teachers do not, because they haven’t had the training for it. According to the report, certification/licensure requirements varied “enormously from state to state” and “what is unique to computer science is the lack of clarity of state requirements.” States are going to have to change their curriculum requirements and allocate money to hire teachers, says Davidson, if they want to fill that pipeline earlier. The efforts do pay off, say those who are invested. Only a few years ago, says Lazowska, there was no professional development at all. Now organizations like Code.org and Microsoft’s TEALS are working with regional and national partners to provide professional learning opportunities and support for teachers interested in teaching computer science. While there are still too few, resources for improving professional development are rapidly improving. In Washington, the state’s higher education system is also working hard to support K−12 computer science education, says Shouse. “I know that both Western [Washington University] (WWU) and Central [Washington University] are expanding their capacity to prepare computer science teachers.” A recent Seattle Times article reported that demand for computer science education at WWU is so high, the school has given priority status to WWU students over transfer students. Central has seen a 114 percent increase in information technology majors.